One of the common complaints of conservatories is that they get unbearably hot in the summer months. 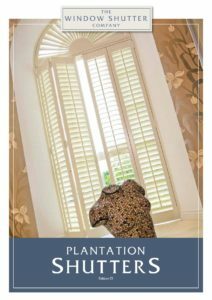 Interior plantation shutters are an ideal solution to this issue but not only do they assist with light and temperature moderation, but they also give a stunning and stylish finish to your windows. They offer a degree of flexibility that is simply not possible with most other shading options. 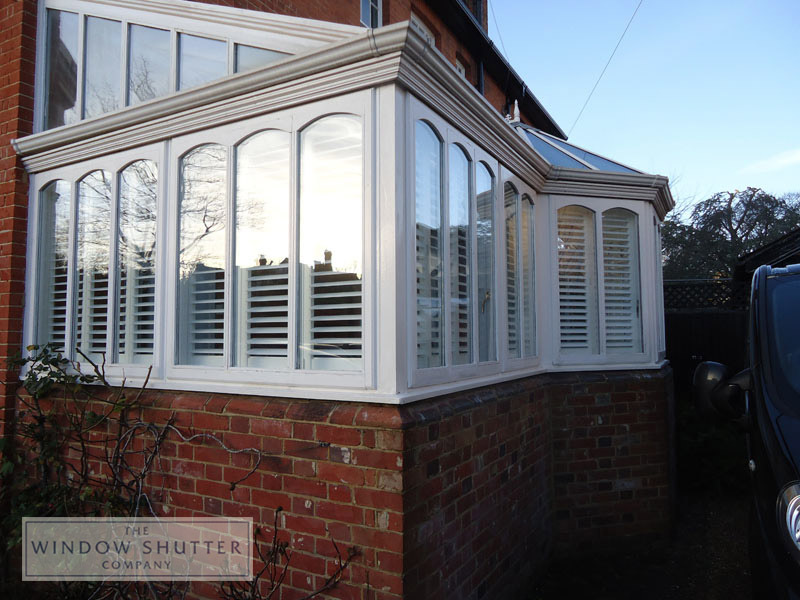 The shutters can be added to the sides and the ceiling of your conservatory. 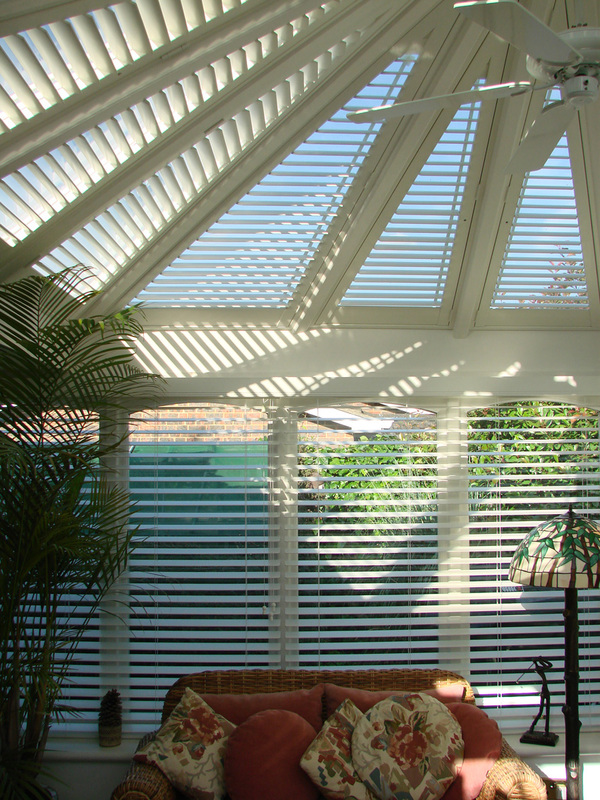 Unlike fabric based dressings, conservatory shutters are easy to clean and will not rot, sag or noticeably age. 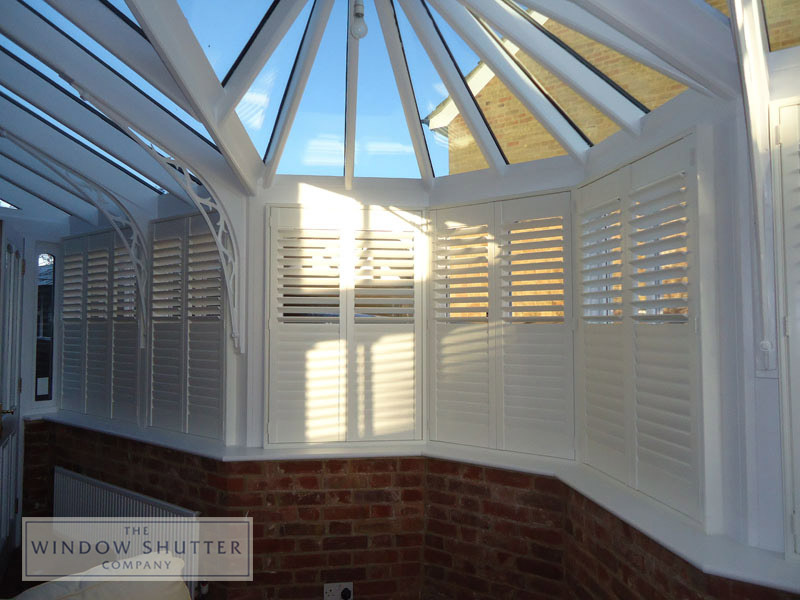 For long side sections of a conservatory, the shutters can be mounted on top tracking to slide away when not in use. They can also be used for partitioning and as multi-fold internal doors. Quite often the opening to the conservatory may have shutters suspended on a top track. The solid base and louvre top shutters are used extensively for these applications. There is also the option to complement your shutters with wooden venetian blinds of the same material to help keep the costs down. 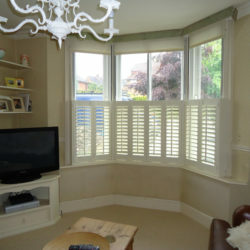 For a full overview of our shutter ranges please click here.